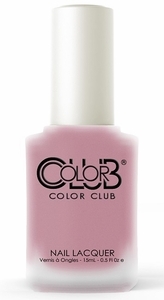 Color Club Matte Nail Polish, Best Buds, LS67, .50 fl. oz. Dusty rose pink nail color that dries to a matte finish. Color Club Rose Remedy Collection, Spring 2018.